Are you planning a trip with your pet this summer? If yes then you are going to have a great time ahead. With your best friend on your side, you cannot expect anything but super fun. While fancying about this wonderful time, you must also keep into account your pet’s needs during the flight. What seems like a frolic time may turn into a traumatic experience if you do not remain careful. It would be good to prepare a checklist beforehand to make the flying experience comfortable for your pet. Early booking: Every airline has its own pet policy. Check out these policies and see if everything suits your pet or not. You must check all the rules regarding traveling with the pet, luggage details and every other detail to make the journey smoother and stress free for you and your pet. 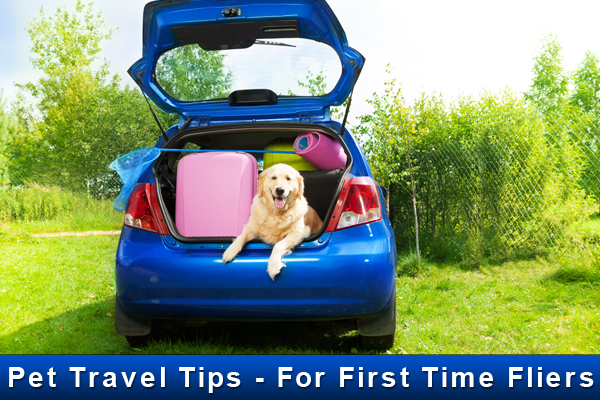 Veterinarian’s tips: Visit your vet prior to the travelling time. He will give you pet tips to follow during the journey. Check for all the vaccinations and go for a complete body check-up of the pet. It is important to keep your pet up-to-date on vaccines. You would also need your pet’s health certificate from the vet. The certificate should be collected within a time span of ten days before the flying date. Carry the carrier: A proper sized pet carrier will keep your pet happy and safe during the flight. Soft-sided carriers are suitable during travelling. Some of them fit under the seat as well. For this, you must first check the size restrictions in the Airline policy. Ensure that you check this important detail as otherwise it may create big trouble during the journey. Identity labels: Your pet’s carrier must have his name and other identity tags over it. The tags should have your contact details and address. This is a proactive measure in case your pet gets lost during the flight. You must carry your pet’s photograph with you. It will help you locate and search your pet efficiently in case of any unfortunate incident of losing your pet. Test Drive: The best pet travel tip is to keep your pet comfortable. To ensure this you must take a test drive with your pet in the carrier. With this, you can check if Fido is comfortable moving around in the carrier or not. So, go for some smaller ‘within the city’ trips few days or weeks prior to the actual date of travel. To conclude, you need to be extra careful for the first flight of your pet. It is important as he may get stressed up while you are in the clouds. So, take vet’s guidance, check airline policies, keep all identity tags and enjoy your flight with the pet.